iPhone iPad & iPod Repairs FAST!! Now repairing Samungs, Apple Watch, MacBooks & iMacs! Two Stores - One Amazing Company! Your Tech Is In Safe Hands! We repair all devices with quality parts and huge warranties as we believe that our customers deserve the best parts for their devices. Premium service and premium parts for your beloved premium device! 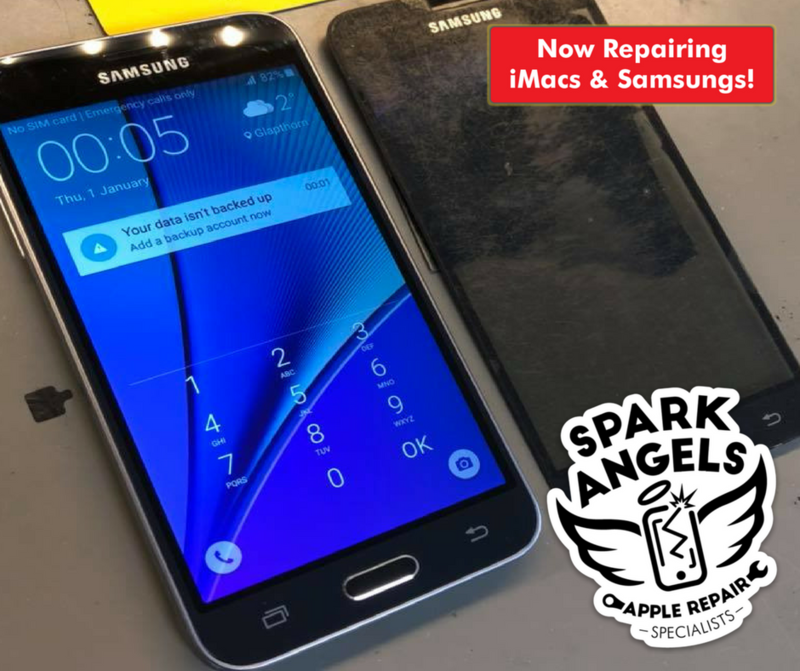 2 easy to get to locations in Northants, walk in and get your device repaired today! Every device we repair comes with an amazing 12 month warranty against any faulty parts replaced on the device. 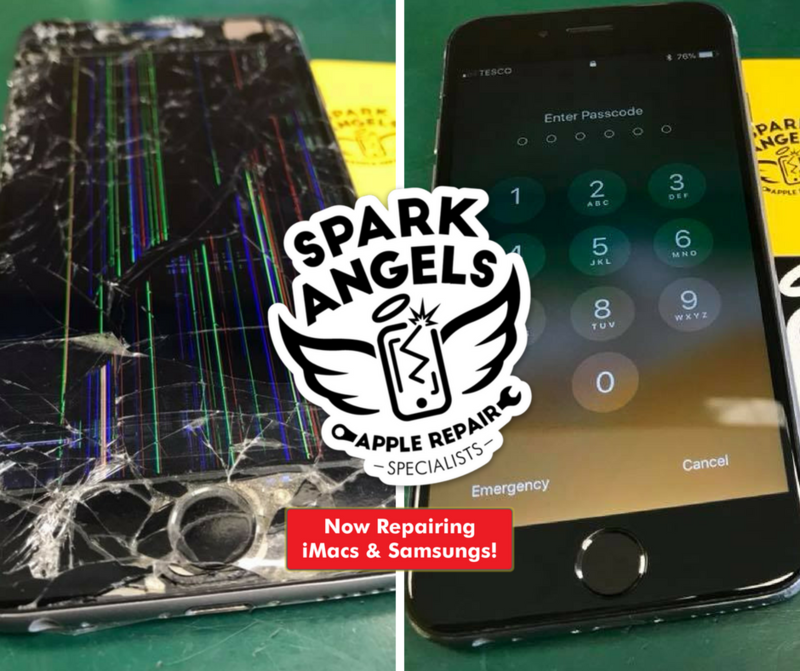 We aim to complete most repairs in under 1 hour as we know that our customers can't live without their iPhones. iPads take longer but still usually repaired the very same day. Education & Business Repairs FAST!! Spark Angels have many commercial customers in every sector of business and education. We are here to support our clients to ensure that they get a cost effective and rapid solution to their broken Apple devices as we know that device downtime can be costly. They gain the confidence of our aftersales service and support and vast warranties as standard. Constantly innovating to make our customers repair experience smoother, quicker and more valuable. To learn more and organise a call-back, click below for a simple and quick form. A Small Sample of Why Spark Angels ROCK! !